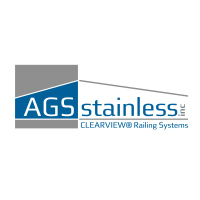 Olympus is the latest in a comprehensive line of quality, custom-built railing solutions from AGS. The Olympus bar system combines sleek, tailored design with cutting edge fabrication processes for a component-based system shipped ready-to-install. Olympus can be paired with a wide array of top rail options, as well as multiple Powder Coat color choices for individualized design results.